The "martyr death" is the "best way to die," Mustafa's "wish…for every believing brother and sister," declared the 24-year old Moroccan-German in an Oct. 18 interview for the German public television station ZDF ("Minderjährige Deutsche im Krieg" segment). Having recently returned from Syria, Mustafa is one more manifestation of what he calls the "very clear matter" of "armed struggle" in Islam worrying German authorities in light of Syria's ongoing Islamist-dominated insurgency. 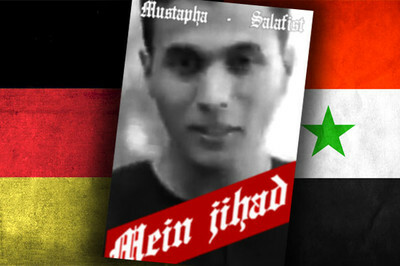 Two days after Mustafa's television appearance, Germany's leading newsmagazine Der Spiegel reported that 200 jihadists had left Germany to fight against Syria's Bashar al-Assad regime. These jihadists had formed a "German Camp" in northern Syria for the establishment of German-speaking fighting units, according to Germany's domestic security service, the Federal Office for the Protection of the Constitution (Bundesamt für Verfassungsschutz or BfV). More than half of these jihadists are German citizens, BfV estimated; although an estimated 80-85 percent of these fighters had a "migrant background," while the rest were German converts, according to a German radio interview. Eight of these German jihadists had already died fighting in Syria, now "by far the most 'attractive' jihad theater of war" for Islamists globally, in BfV's view. German officials estimate that there are now about 1,000 European jihadists in Syria, with 120 from Belgium and 150 from Kosovo. Such European jihadists did not just present problems for Syria, BfV President Hans-Georg Maaßen analyzed in a Sept. 22 interview. Speaking then of 170 German jihadists entering the Syrian insurgency, Maaßen described this number as having "clearly increased" from 120 a few months before. These peoples were among a "very high personnel potential of Islamists in Germany, 42,000 persons." Jihad recruitment among these German residents for Syria filled the BfV "with great concern," because "these persons will presumably come back again." If they do, these jihadists "will probably have combat experience, they will perhaps even have a mission, a terrorist mission." Mustafa indicated as much about himself, although he stressed having personally been concerned "above all" about delivering "humanitarian help" in Syria. Yet Mustafa reported his Muslim acquaintances in Syria are extremely angry about the lack of German and other Western support for the anti-Assad revolt. Accordingly, "one should not later be surprised if something should happen in the Federal Republic of Germany." Maaßen also recounted having "always feared that Germany can become a rest, financing, and recruiting area for foreign terrorist organizations." Germany's role in al-Qaida's Sept. 11, 2001, attacks had already foreshadowed such exploitation. Maaßen discussed fundraising in Germany on behalf of various terrorist organizations in Chechnya, Turkey, or now Syria. Money or material donated in Germany would then find its way to destinations such as Syria through "ant traffic" in individual personal trips. "Charity events" featuring "prominent Salafist speakers" along with corresponding bank accounts were a particular German income source for Syria's jihadists described by Maaßen. A Dec. 16 event in Dortmund, for example, featured the Palestinian-born Ibrahim Abou-Nagie saying of Syrian Muslims that "today it is their turn, tomorrow ours." "Whoever arms a warrior of God, receives the same reward," Abou-Nagie added. "And all our siblings in Syria are warriors of God. And whoever donates here, he arms a warrior of God." The legend that this collected money served "humanitarian goals" made legal countermeasures difficult. Yet BfV officials regularly determine that these donations serve jihadists in Syria. Provincial BfV officials in North Rhine-Westphalia, for example, had discovered bullet proof vests and night vision goggles amongst humanitarian supplies bound for Syria. In particular the organization Helfen in Not (Helping in Need or HN) topped BfV's list of suspicious entities calling for Syrian relief. HN, for example, raised suspicions with a July 2012 delivery of used ambulances to Syria, vehicles used there not just for emergency care but also vehicle-borne suicide bombings. HN also organized a "charity" event with over 500 participants at a Turkish culture club in a Cologne suburb on Oct, 3. Helping organize the Cologne event was Karim Lakhal, spokesperson for the Muslim Council in nearby Bonn (Rat der Muslime in Bonn). Founded in 2006 with nine mosques and three Muslim organizations to represent Bonn's 29,000 Muslims, the council's reputation as a mainstream Muslim organization suffered from revelations beyond Lakhal. Becoming public simultaneously with the HN event were police investigations into the role of individual council members during a violent May 5, 2012, Bonn protest inflicting life-threatening injuries upon two police officers. Media investigations also revealed that three of five individuals suggested by the council at the end of 2012 to provide chaplain services for juvenile delinquents incarcerated in a Bonn area prison were known Salafists. The council's project leader for this chaplaincy, moreover, was a German Muslim convert known to police for violations of explosives laws and for indoctrinating youth to join terrorist training camps. Officials rejected the council's offer. German aid workers' experiences in Syria further call into question HN's motives. Three coworkers of the German Muslim-Christian relief organization Grünhelme (Green Helmets) were victims of a kidnapping on May 15 in the north Syrian town of Harem. Two of the three escaped to Turkey on July 5, the third on Sept. 3. The kidnappers spoke "truly accent-free German, that is to say, like a German," ", who escaped in July, told a television interviewer. The captors, meanwhile, told Blechschmidt and his companions that "they would probably be killed." Because "bullets in Syria are too expensive," he said, "a knife would probably be used and our throats slit." This was not Blechschmidt's first encounter with his native tongue in Syria. In May, a German-speaking man armed with a holstered knife visited a hospital Blechschmidt was building in the city of Azaz. As an Internet video of the episode posted by Salafists showed, the visitor demanded to see Blechschmidt's passport. A voice on the video identified the intruder who also filmed the video as Sabri Ben Abda, a German Salafist previously spotted by reporters at German HN event. The infidel "Kuffar are already bringing their people here," Abda complains in German later in the video, so that the "Muslims will later be inoculated for democracy." "It is entirely clear" that HN "went to Syria in order to make life there hell for all like us," Grünhelme's director Rupert Neudeck declared in seconding Blechschmidt's suspicions. "If we as a state are not able," Neudeck adds about HN, "to stop their work, here at home and also in Syria, then we are a dishrag state." Prosecutors in Cologne are currently investigating HN's involvement in the kidnapping. HN denies any involvement in the abduction, while admitting that Abda was once an amateur cameraman for HN. In contrast, HN's chairman Bekir Astürk has threatened Neudeck with legal action for his accusations. In Harem where Grünhelme was building a hospital, meanwhile, HN is now building a Koran school. Irrespective of HN's innocence in the Grünhelme affair, it is easy to see why Maaßen saw his "main threat at the moment definitely in the Islamic realm of Islamist extremism and terrorism." Please keep-up the good work! Thank you so much for your work and the special INFO you send. I used to use your material when I taught TERRORISM classes at COS. I don't do that any more BUT I still look forward to receiving your work. I archeive it all, refer to it constantly. I consider you and your organization the best in the business. I read your work and have been studying for a long time. I become frustrated with those I try to discuss TERRORISM with. So very few have any understanding... I cannot understand such willful ignorance! A few professions are aware BUT very few. I'm appalled. Do you think there is much of a chance of Western Civilization surviving much longer? I hope to meet you, maybe attend a conference where I you speak.